The Talk With Vanessa: You might need to think twice before go to buy drugs over the counter without a prescription from a Physician. Amina isn’t alive today to tell her own tale! You might need to think twice before go to buy drugs over the counter without a prescription from a Physician. Amina isn’t alive today to tell her own tale! 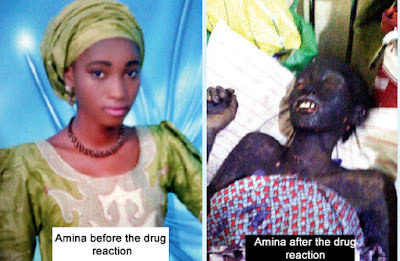 14 year old Amina Ibrahim who suffered severe burns after allegedly taking drugs that she bought over the counter without prior prescription from a Physician,has died. Amina had gone to a chemist to buy medications when she was feeling ill and when she got there, she met the 19 year old son of the pharmacist who prescribed the antibiotics for her. She took the drug and immediately started reacting to it. Within an hour, she suffered severe burns on her face and neck. She was later diagnosed with Stevens-Johnson syndrome, a “rare, serious disorder of skin and mucous membranes that is usually caused from reaction to a medication or an infection. 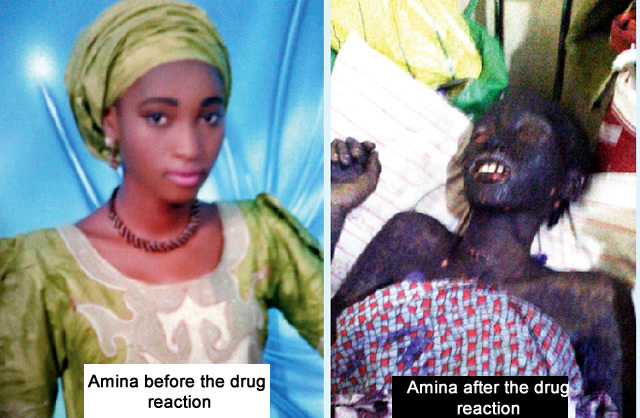 Amina died at the Mohammed Abdullahi Wase Specialist Hospital in Kano State.